Dreaming of sun and beach, the image of the 4 Balearic Islands of Spain with its paradisiac beaches, intact nature and delicious Mediterranean cuisine, comes quickly to our minds. 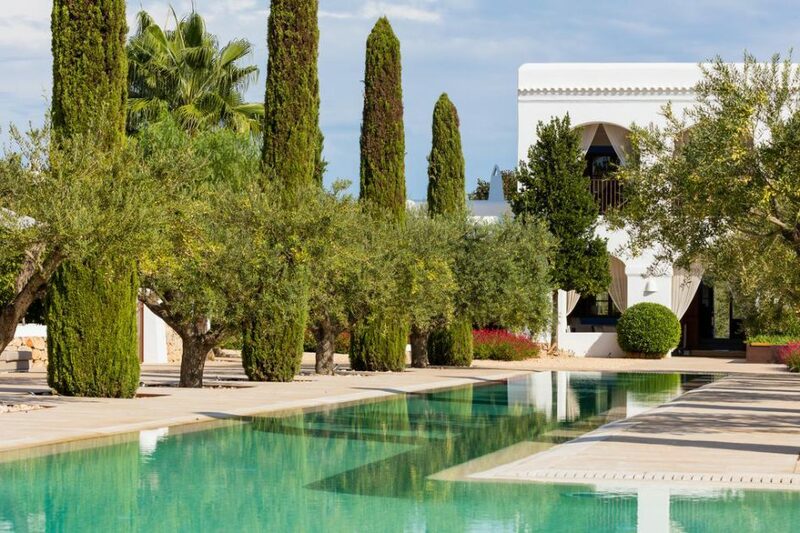 And, of course, almost constant summer weather…..
With its variety of luxurious and tasteful hotels, Ibiza is undoubtedly a paradise – whether beach hotels with breathtaking sea views or charming rural hotels, where you can feel the essence of the island. 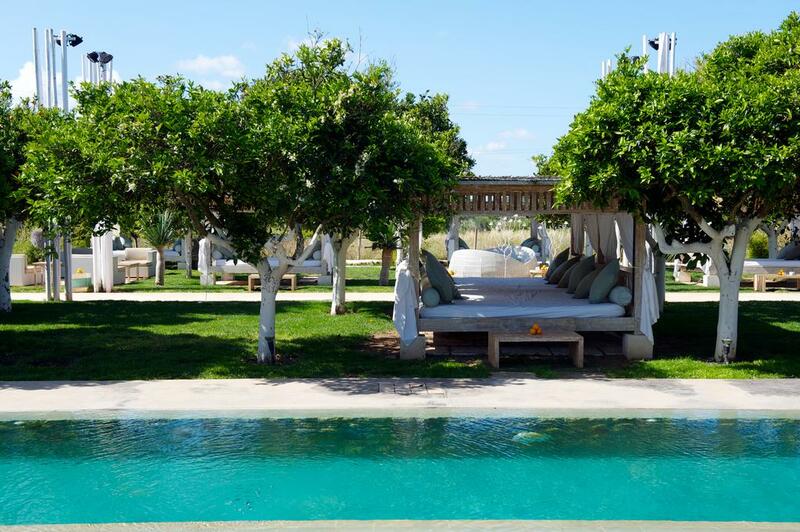 Here are the 5 most charming boutique hotels in Ibiza. Ibiza is the ideal place for a luxurious getaway – let yourself be seduced. 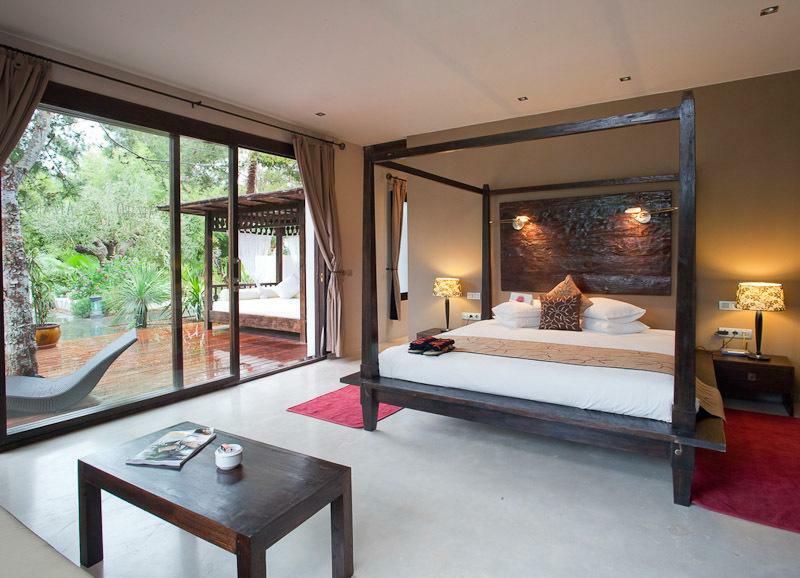 If you are looking for pure nature and relaxation, `Can Gasi´ is the right place, just 15 minutes from the beach. 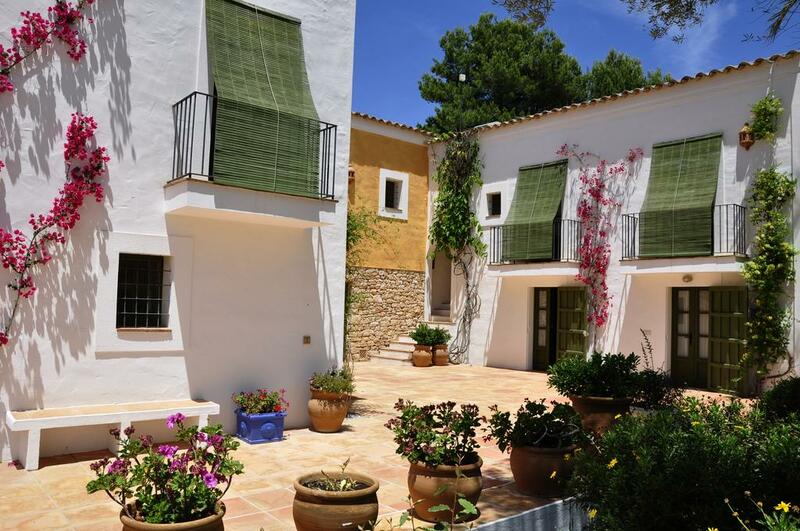 The hotel is located on the hill of Santa Gertrudis, in a typical Ibizan house surrounded by 4 hectares of olive, pine, almond and orange trees and an orchard. The hotel rooms are decorated respecting the hotel’s Ibizan style, with wooden furniture and bright colors. Typical dishes such as Valencian paella or dishes based on fresh ingredients from the in-house orchard, are offered in the restaurant. Yoga and meditation classes take place in the hotel gardens. Relax in the beautiful pool and enjoy a cocktail on the adjoining pool terrace. Discover Ibiza with us at Cas Gasi! 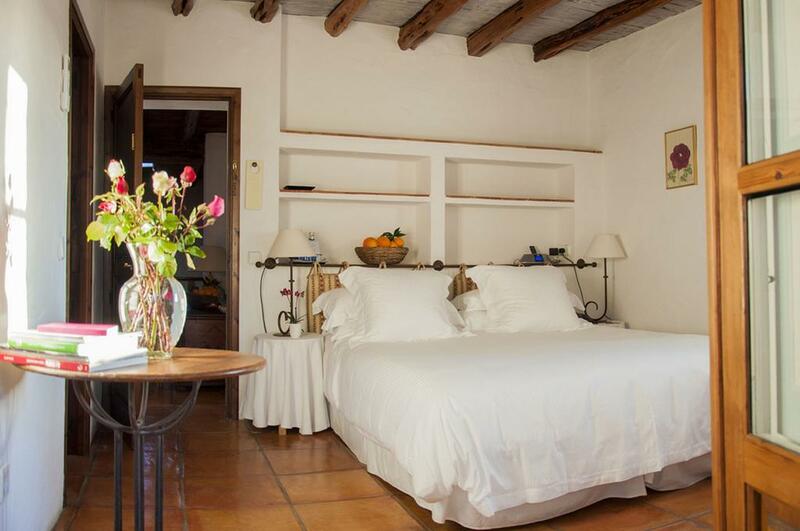 This quiet boutique hotel is located just 3 km from the beach, between Santa Gertrudis and San Miquel de Balansat, surrounded by almond, fruit and olive trees. In the garden there is a nice swimming pool with sun terrace and hammocks. The spa offers therapy and massage treatments in the garden. The hotel rooms are decorated in a minimalist Ibizan style and equipped with every imaginable amenities, such as private terrace, pillow menu or Nespresso coffee machine. Try the creative, Mediterranean dishes at the `Ca na Xica´ restaurant, which are also served on the large outdoor terrace in summer. Reserve `Ca Na Xica´ and fall in love with Ibiza. In the heart of the island, in the ‘Dalt Vila’ district, surrounded by the former city wall, we find this unique hotel with spectacular views. The luxurious hotel rooms are an oasis of relaxation, all with hydromassage bathtubs and the amenities of a Loewe bathroom. The hotel has a swimming pool with jacuzzi and sun terrace with cozy hammocks. There is also a free airport shuttle service. The hotel staff will be happy to provide you with information on private yacht excursions through the most secret and romantic coves of Ibiza. 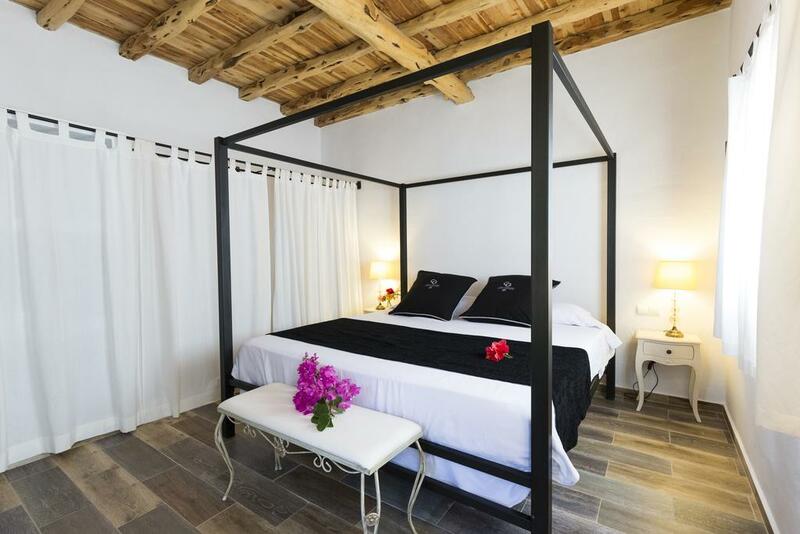 Dalt Vila is undoubtedly your city hotel on Ibiza. 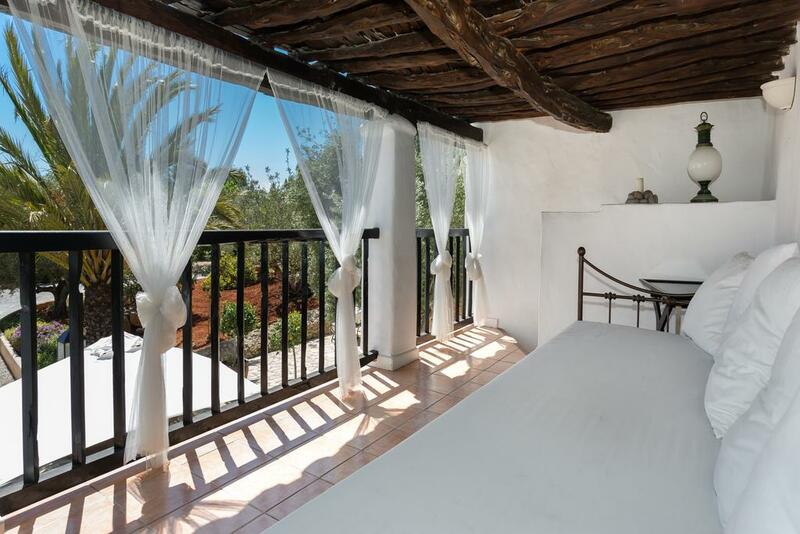 Book a stay at ‘Can Guillem’ and experience the authentic Ibiza in a typical Ibizan house with whitewashed walls and minimalist furnishings surrounded by pure Mediterranean air. 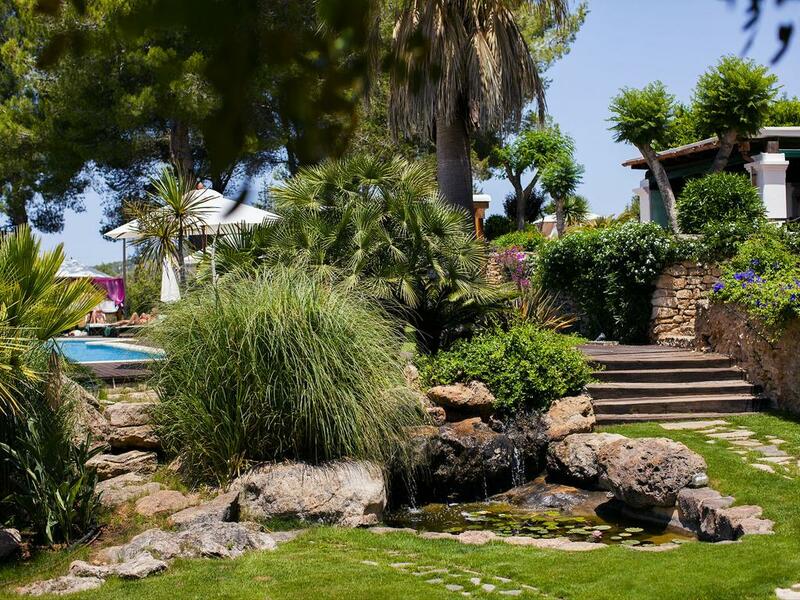 Let yourself be enchanted by the charm of Ibiza and relax by walking in the beautiful hotel garden or lounging in a cozy hammock by the pool. Romantic rooms with four-poster bed and jacuzzi await you, as well as fantastic, spacious 90 m² villas with two bedrooms, dining room with kitchen, terrace and garden. Experience the magic of Ibiza in Can Guillem. With Hotel Atzaro, it is difficult to distinguish between `luxury hotel´ and ‘pure luxury‘. In the cozy day beds spread out in the garden, surrounded by orange gardens and aromatic plants, you can disconnect completely. At the outdoor pool bar, guests can enjoy a range of natural juices and cocktails, while the sun terrace is a great place to relax. Let yourself be pampered in the spa area with sauna and hammam and enjoy the massage and treatment services in the beautiful wooden cabins in the garden. The restaurant `La Veranda’ offers fresh seasonal products from the in-house orchard. From July to August you can finish the evening with live music in the chill-out area with a spectacular cocktail. 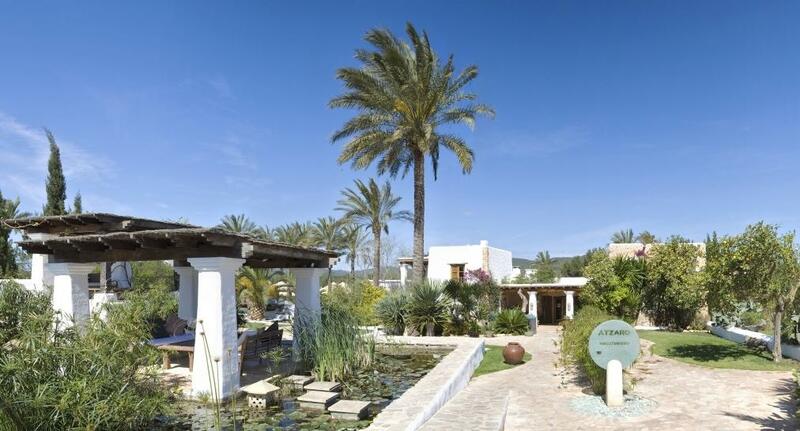 Relax in the rural hotel Atzaró- Ibiza, book now! 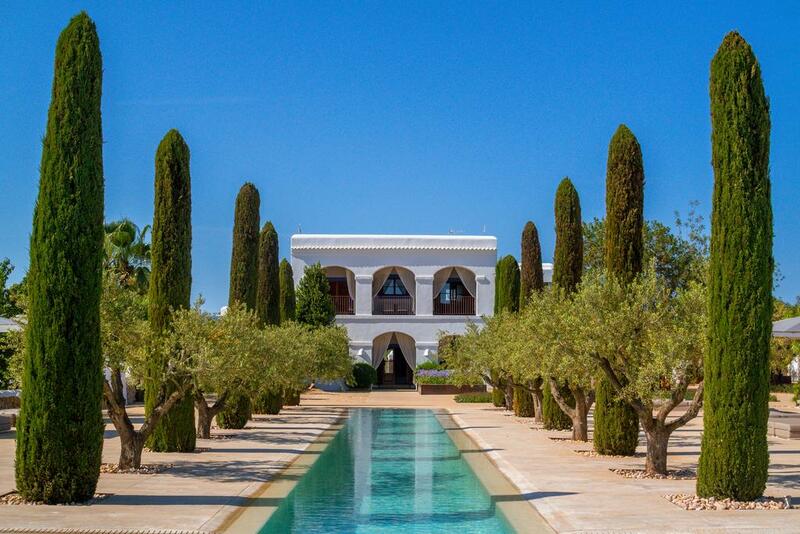 Do not miss our luxury boutique hotels in Ibiza and our charming boutique hotels in the Balearic Islands. We want to spend our Summer Holiday in Ibiza. Do you have any possibility for our familiy ?? 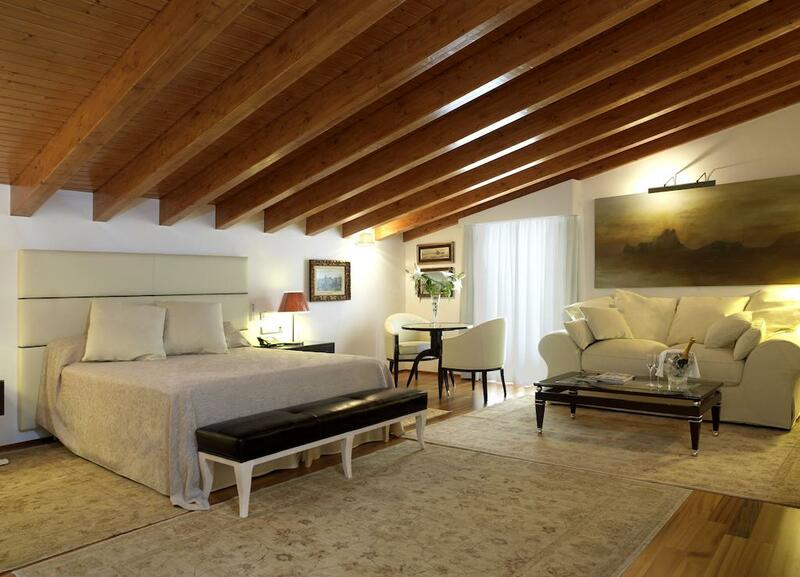 In Ses Pitretras Boutique Hotel it has availability in a family suite of 20-08 to 02-09. Room Size 75 m2. If you need any additional information we will be happy to help you.